The British actress brings both pragmatism and heart to an understated biopic. Foy tells IndieWire how her "out of the ordinary" subject inspired her and led to a rich role. Claire Foy only really loses it once in Damien Chazelle’s “First Man.” Stuck at home, listening to her husband Neil Armstrong (Ryan Gosling) during yet another test run for his imminent space flight via a squawk box hooked up to NASA’s own feed, Foy’s Janet Armstrong is horrified to discover that her audio has been suddenly switched off. The test has, inevitably, turned rough, and the NASA brass make the executive decision to cut off Janet and the Armstrong family, ostensibly to spare them from any possible trauma. Foy undertook her own research of Janet, who passed away just a few months before the film debuted, and found a brave character as compelling as her famous husband. Early in the film, it’s Janet who assures a nervous Neil that his new gig with NASA “will be an adventure,” a notion she never seems to fear. The real Janet was very much about communal engagement. In 1964, she founded and helped coach the Texas-based El Lago Aquanauts synchronized swimming team (she’d been a competitive synchronized swimmer in her college years), an achievement only hinted at in the film. 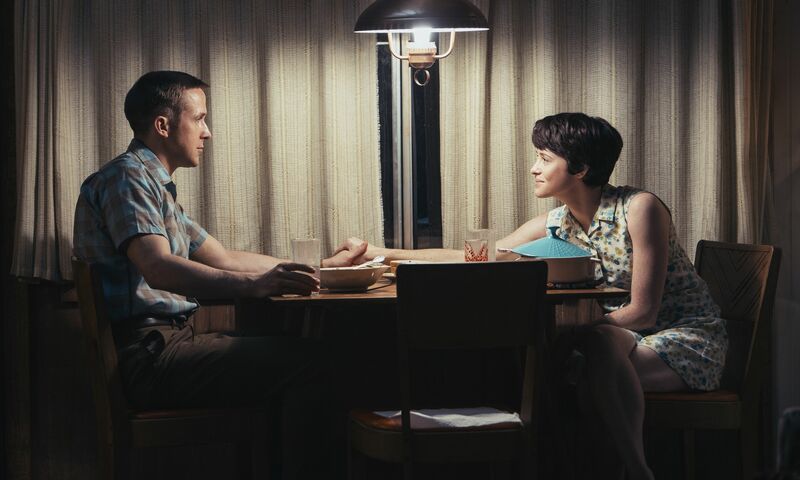 “First Man” also doesn’t show Janet helping to form another key group — the KIT (Keep-In-Touch) group of astronauts’ wives — but her ability to support her fellow wives during increasingly tragic times is brought to vivid life by Foy. In one scene, Janet remains at an astronaut’s funeral to help clean up as an angry Neil stomps off into the night. Later, Janet comforts another heartbroken wife as other members of their community literally turn away from her. At every point, Foy finds Janet’s humanity, and uses its to give the film an emotional center. While some audiences have complained that Chazelle’s film is too cold or reserved, Foy provides the story with its heart — much as the character does for the Armstrong family. As Neil’s missions become increasingly public, so too do the demands placed on Janet and the pair’s young sons. Reporters take over the Armstrong family’s lawn, a photographer snaps away as Janet and the kids await news about Neil’s latest test, and everyone seems to want a word from Janet, peppering her with questions during one the most stressful time of her life. “First Man” is in theaters now.